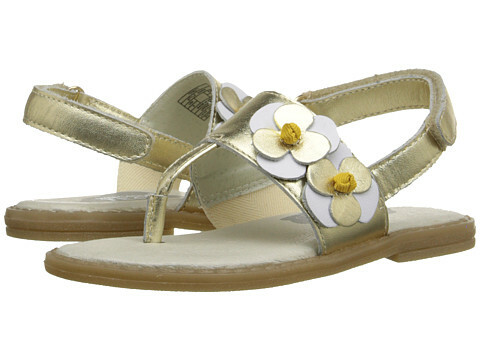 Its flowers galore with the Umi® Kids Marin! Leather upper that is breathable and lightweight with decorative floral design. Hook-and-loop strap for easy on and off wear for your little one. UmiCloud™ memory foam insole comforts tiny toes. Manmade outsole creates stability for their baby steps. Imported.Measurements:Heel Height: 1⁄2 in Weight: 3 ozProduct measurements were taken using size 25 (US 8.5 Toddler), width M. Please note that measurements may vary by size.